It’s the return of Thing-a-Week*! 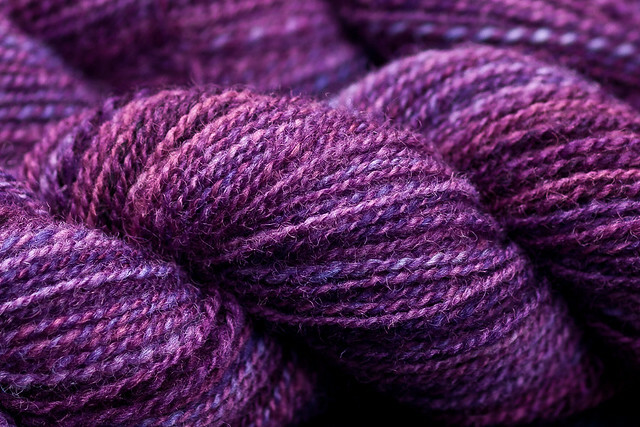 Back in August, for Thing-a-Week #20, my friend Ewenique and I dyed some yarn and fiber, all in the same color: “Screen Door Purple.” (There’s a story behind that name, but I’m not telling!) 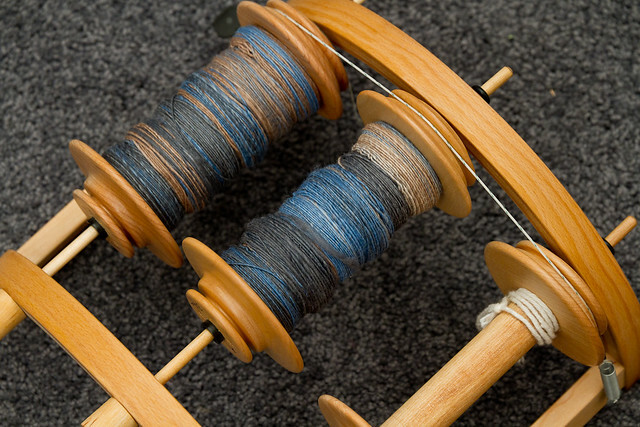 This week, I finally got around to spinning the fiber. 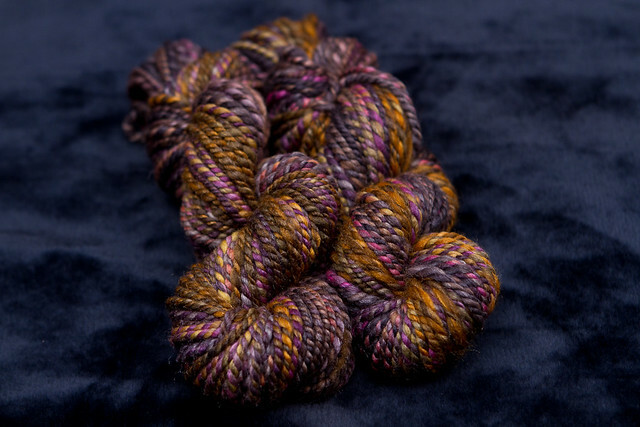 The 8 ounces of Corriedale fiber spun up to about 430 yards of yummy, plummy DK-weight yarn. Not sure what I’ll do with it. 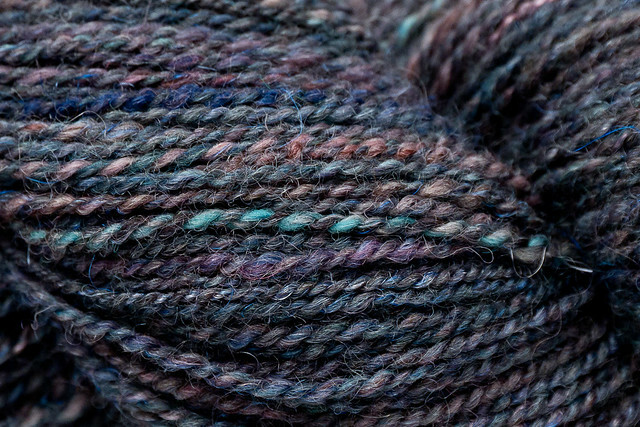 It’s not soft enough for next-to-skin wear, but I’m sure it’ll make a nice… something. Any ideas? * I know what you’re thinking. There’s no way I’m up to #36. My last Thing was #23 three months ago. I missed 13 (yes, 13!!) weeks due to work and other busy stuff. I thought about it a lot, and I had two choices: pick up where I left off with #24 and add make-up days to the end, or skip them, plow ahead, and end in March as originally planned. Since it’s a miracle I’ve made it this far, I’m taking the easier route and skipping the 13 Things I missed. Sorry to disappoint, but I’m sure I’ll still come up with some good stuff before I’m done! Whew. I made it a quarter of the way through my year of things-a-week. Never thought I’d get this far! 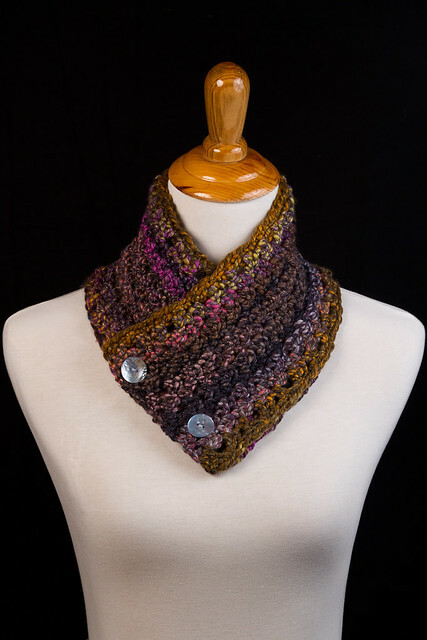 I thought it fitting that I actually finish that little neckwarmer project I was working on (Things 3, 4, 5, and 7). 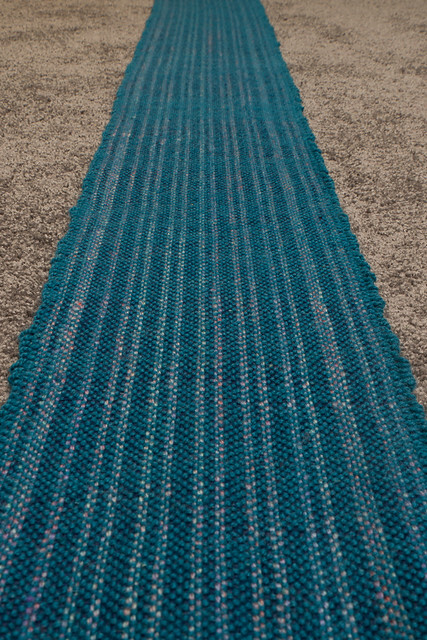 The final step was to actually publish the pattern, and I did that today. 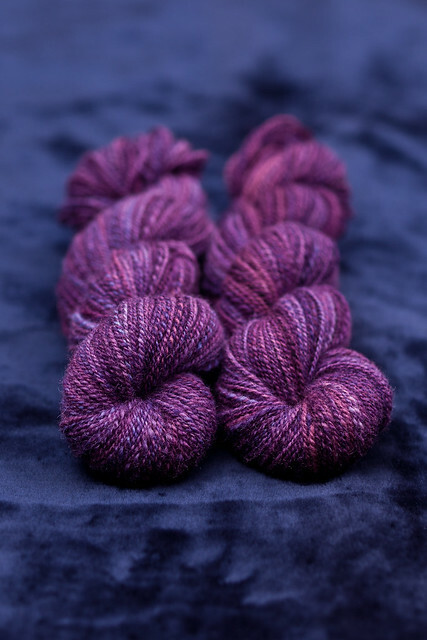 It’s a free pattern, available for download in PDF format. 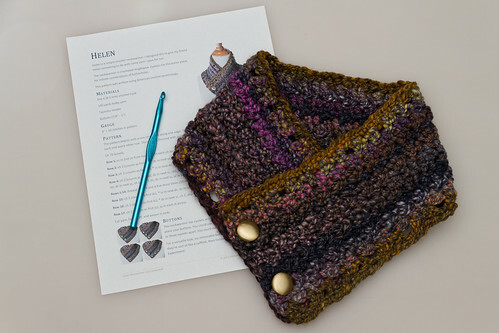 Details about the pattern and where to download it are here. This one’s a little late. My mom’s in town, and some things just take priority over finishing up a project! 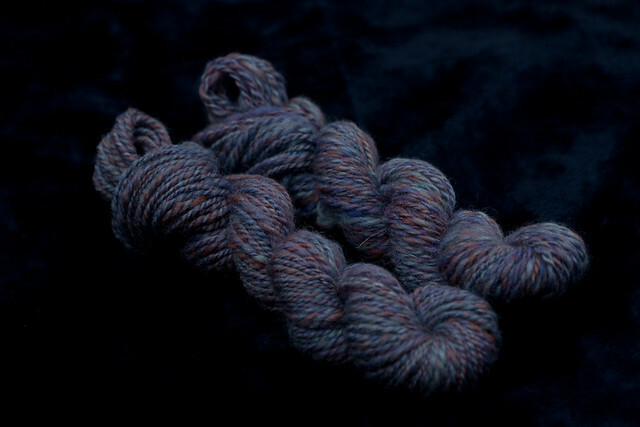 Anyway, I finished spinning this yesterday, and had it drying overnight. 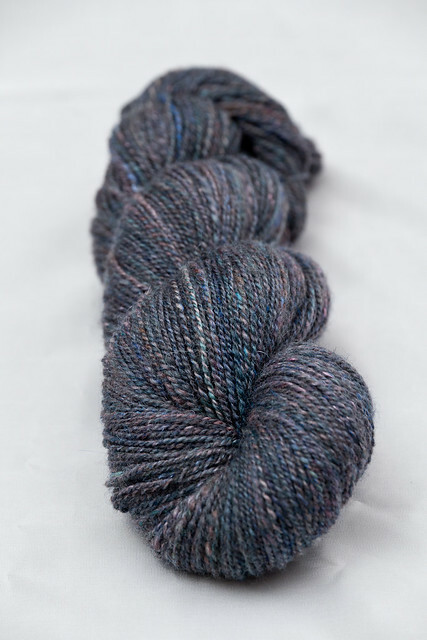 It’s 80% merino wool, 20% tussah silk, just like Thing #2. 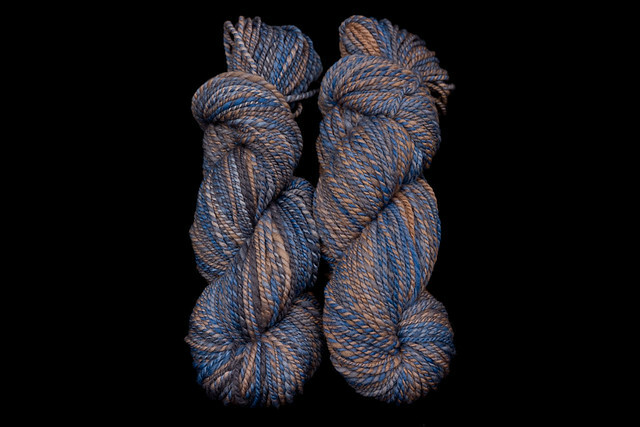 The color is “New Moon,” and this one ended up being a little heavier weight than the last one: 93 yards, 4 oz, bulky weight. 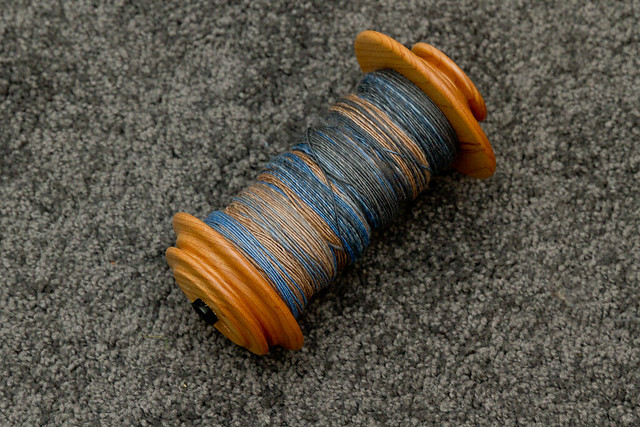 I intend to use it with the pattern I wrote last week.